The Vaasa region invests in the determined development of the entire logistics systems in order to improve the conditions for its export-oriented industries. This development effort respects the environmental ambitions of the European Union and aims at transporting more goods also by rail and sea. The rail from downtown Vaasa to the harbour has not been regularly operated for years, and it was partly in a poor condition. The Finnish Transport Agency was, in fact, willing to close the rail or at least part of it last year. Luckily, the requirements of the local industries to use the docks and the rail made the Transport Agency think again; the broken switch was repaired and now the harbour rail is fully operational once again. This railway section with seemingly little use and the only railway yard big enough in this region to load and unload large components and containers are an important part of the regional logistics puzzle. Big money is involved in large deliveries to and from the industries, and they provide employment opportunities in the region. 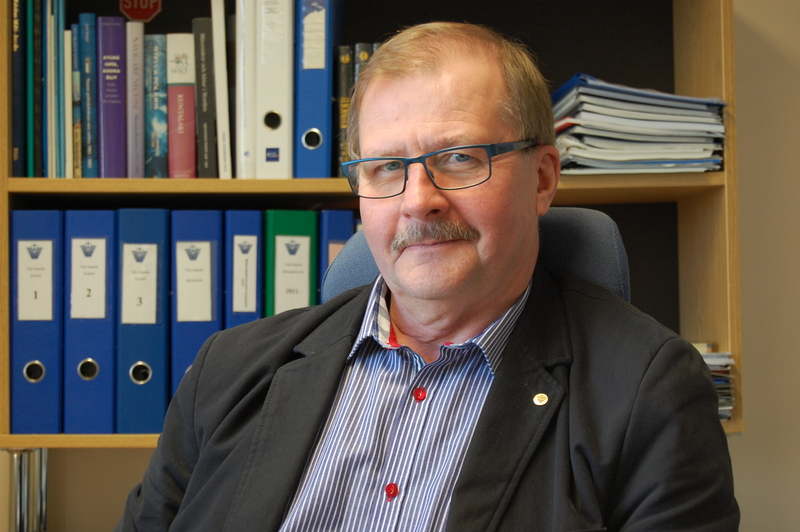 It would be unbearable if the industry started losing their orders somewhere else because of shortcomings in our logistics, says Backman & Trummer’s CEO Hannu Uusi-Pohjola. 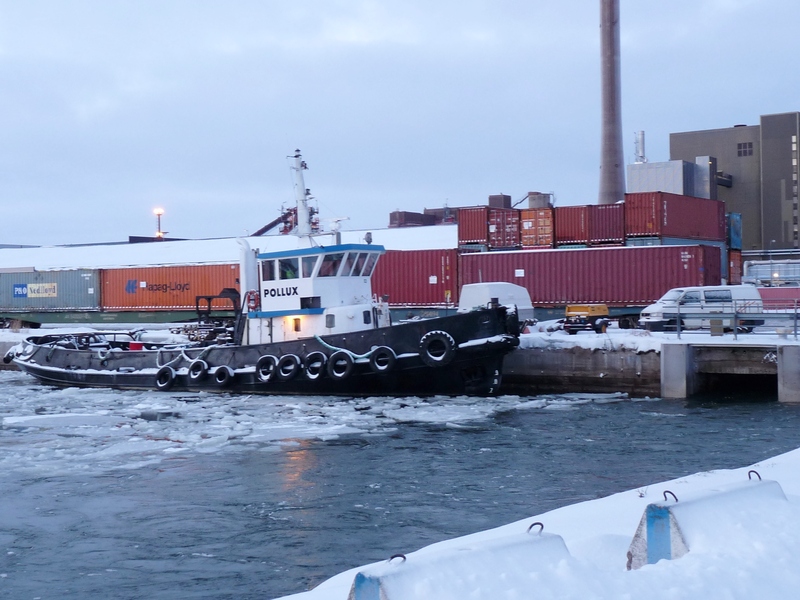 In January, two container trains were loaded with power plant components in the Vaasa harbour to be transported to Russia. There will be at least two more similar transports in the near future. The railway section between the harbour and downtown Vaasa is an essential part of the comprehensive logistics solution. A couple of projects are currently looking into how to facilitate the use of the rail, for instance in multi-modal transports within industries. 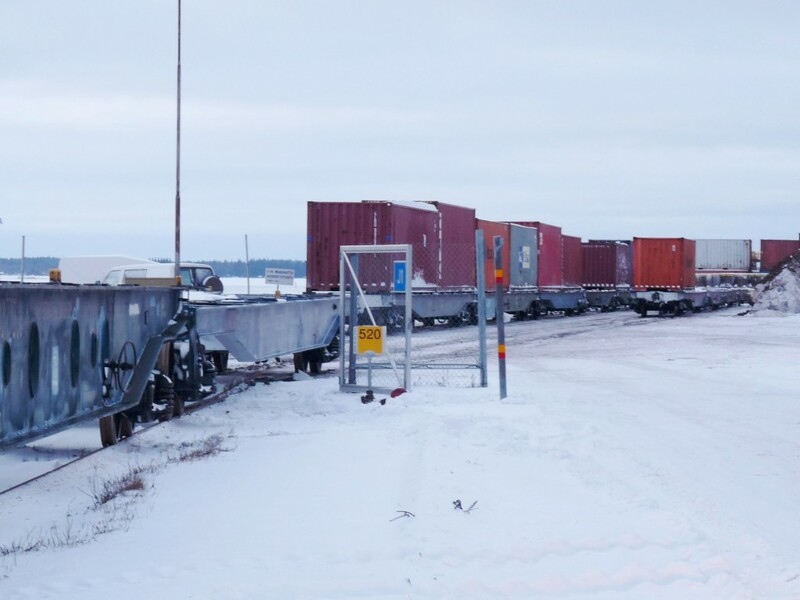 Increasing logistics cooperation between Vaasa and Umeå has given rise to plans concerning the transport of freight from Vaasa to Umeå’s NLC Logistics Centre and further via the Swedish railway system to the big harbours in Southern Sweden. It would open up new freight opportunities both for the harbour and the harbour rail, says former harbour manager Teijo Seppelin, who will now focus more and more on harbour development. 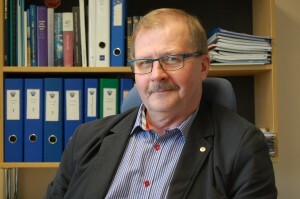 Teijo Seppelin is convinced that there will be more use for the rail corridor to the harbour in the near future. The harbours of Vaasa and Umeå as well as their railway networks are also an essential part of the project Midway Alignment of the Bothnian Corridor which focuses on the development of an east-west transport corridor in Nordic cooperation with EU funding. Even now the industries are using the docks to load large and heavy objects which are transported by rail to inland Finland or to Russia, for instance. In January, two container trains with power plant components have left the docks for Russia, and there is more to come in the near future. Vaskiluoto is the only loading place for rail freight for the industries in Vaasa and its surroundings, confirms Sakari Mäki-Fränti from Blomberg Stevedoring. We were spared to see the harbour rail closed, and now it serves freigh transports better than ever. Even though freight transport by rail is demanding in Finland, the harbour rail will soon be facing new transport challenges. The industries in the region are growing and require new and cost-efficient transport options. Despite the threats, there are clear signs of positive development in the use of the harbour rail, which is very important also for the progress of Midway Alignment, says VASEK’s logistics expert Riitta Björkenheim.